It’s been a while since Battlefield dabbled with co-op modes, but Battlefield 5 is bringing co-op back in a major way. Battlefield is no stranger to co-op. A couple of Battlefield games in the past have featured co-op modes of some description. Bad Company 2’s console-only Onslaught was a fairly competent horde mode that didn’t get revived in later games. Battlefield 3’s co-op missions were honestly a bit of an afterthought, boasting terrible enemy AI and encounter design, but nonetheless offered a distraction from the game’s main offerings. 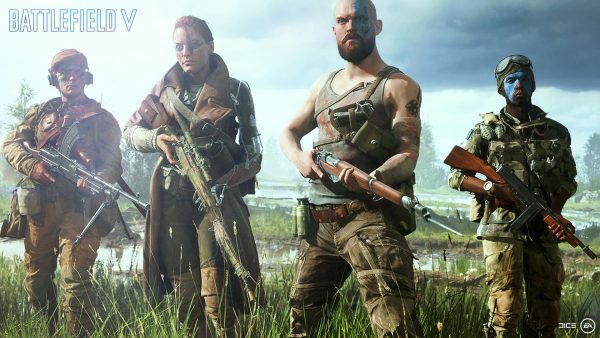 In Battlefield 5, co-op is coming back. This time, it’s going to form an integral part of the package. It’s called Combined Arms, and it’s basically a scenario generator that randomly assembles missions for four players to tackle in co-op. DICE is not sharing too many details just yet, but we do know gameplay will involve familiar multiplayer modes as well as single-player-style objectives. It’s intended as a stress-free introduction into multiplayer. More on Combined Arms will be unveiled in the weeks leading up to launch. Battlefield 5 releases worldwide on October 19 for PC, PlayStation 4, and Xbox One. Those who pre-order the Deluxe Edition can play a few days early on October 16. All pre-orders secure access to the open beta. A Play First trial will be available on October 11 for EA Access and Origin Access subscribers. It will not feature a Premium Pass.